Elote is essentially grilled corn on the cob with mayonnaise, fresh cheese, lime juice, and chili powder. Elote contains sweet, savory, acidic, and somewhat spicy flavors, which makes for a great dish. 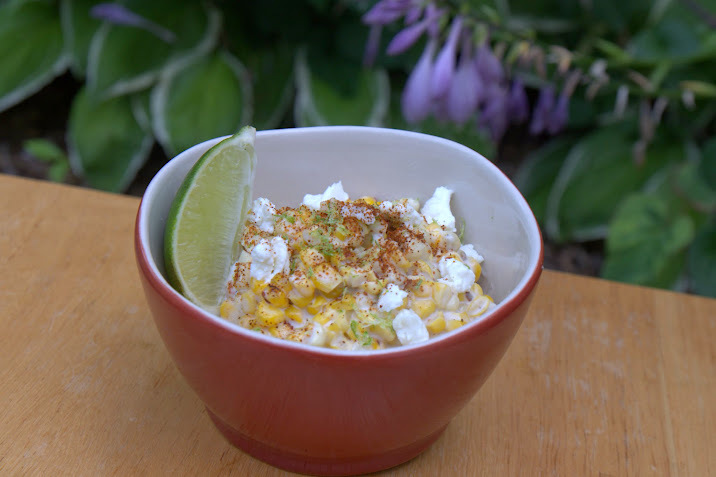 While Elote is undeniably delicious it has a bowled cousin called Esquites. Esquites uses mature kernels separated from the cob and is then sautéed generally in butter. This recipe takes elements of both dishes and lies somewhere in between. 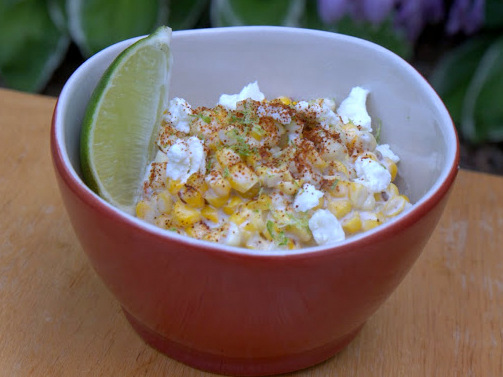 The dish is served in a bowl as a corn salad, just like Esquites. However, the corn is grilled fresh just like Elote. In addition, I wanted to enhance the sweetness of the already beautifully sweet Indiana corn. I did this by putting a glaze on the corn to help caramelize and char while on the grill. The end result pays homage to both dishes and is exceptionally delicious. 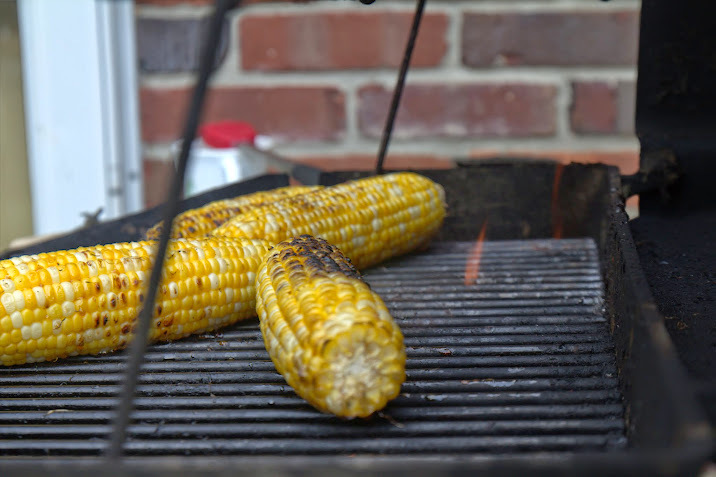 Grill husked corn over medium high heat, continually brush orange juice honey mixture for a nice charred glaze. Cut kernels off the cobs. Mix kernels with butter, mayonnaise, and chili flakes. Sterling, David. Yucatán: Recipes from a Culinary Expedition. N.p. : University of Texas Press, 2014. Print.